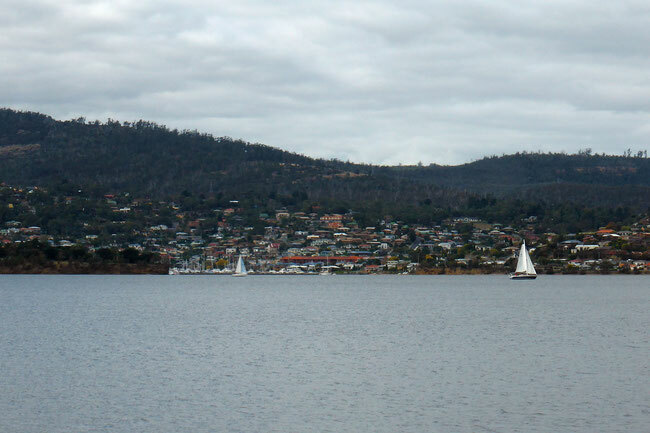 Cornelian Bay is on the Derwent River, just upstream from Hobart and the Tasman Bridge. 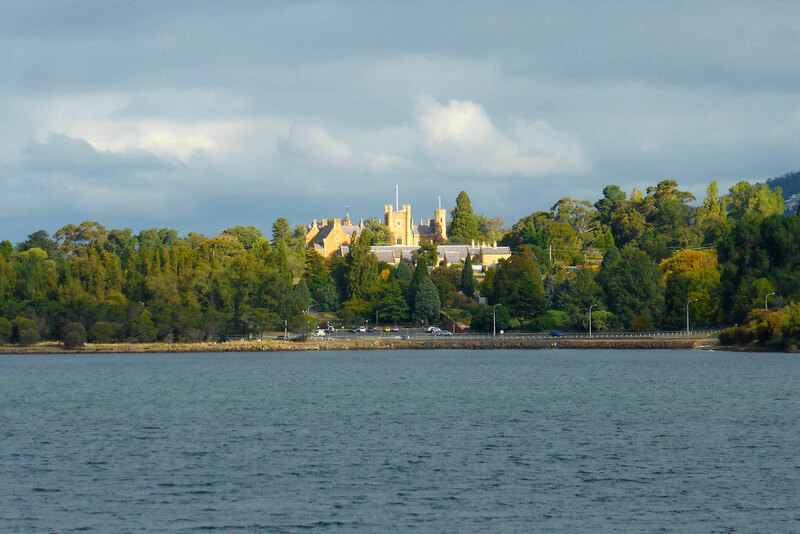 There’s a walking path to Cornelian Bay along the foreshore of the river, which runs from the Royal Tasmanian Botanical Gardens. It’s quite a short and easy walk of about five kilometres return. 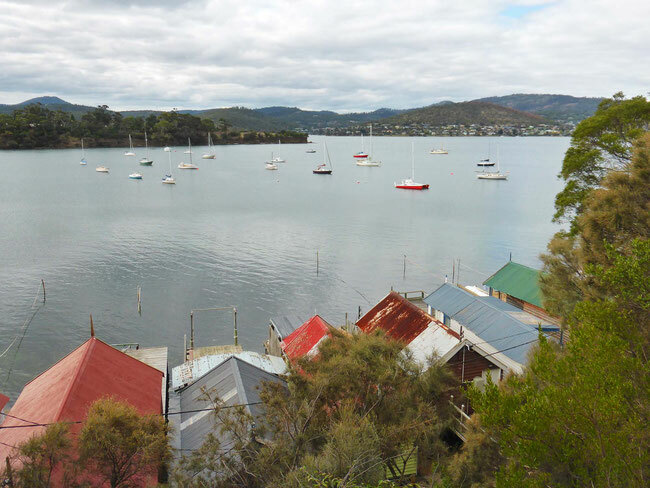 For the most part the walk is enjoyable but unexceptional – the views are quite urban and even industrial, but nevertheless pleasant and worth seeing. 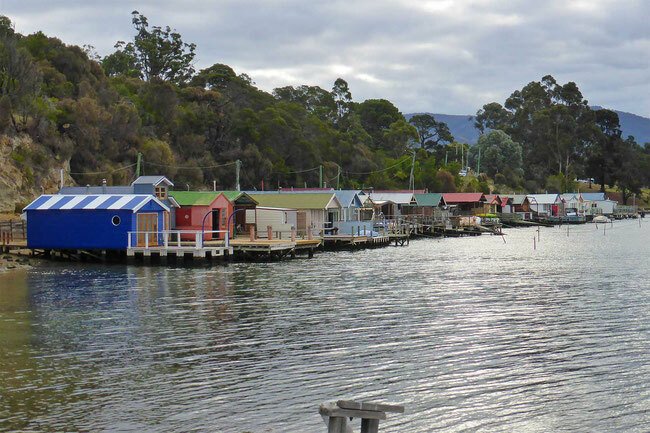 But this little walk does have its special point of interest: a collection of cute boatsheds that step out into the water! There’s some interesting scenery on this walk; these are some of my favourite views. This the Tasman Bridge, which spans the Derwent River and gives access between the eastern-shore suburbs and the airport, and the city centre. Despite its graceful and modern lines, this bridge is over fifty years old. 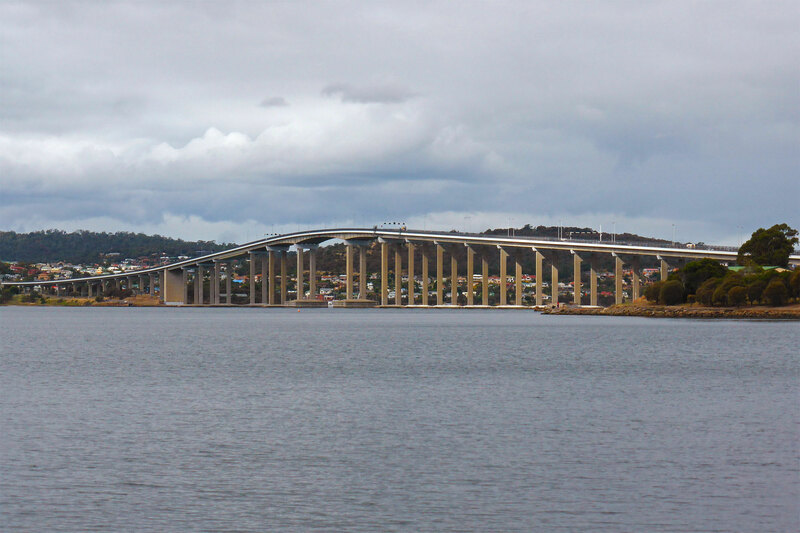 More on the Tasman Bridge in a later post – it’s quite famous, and deserves its own space. 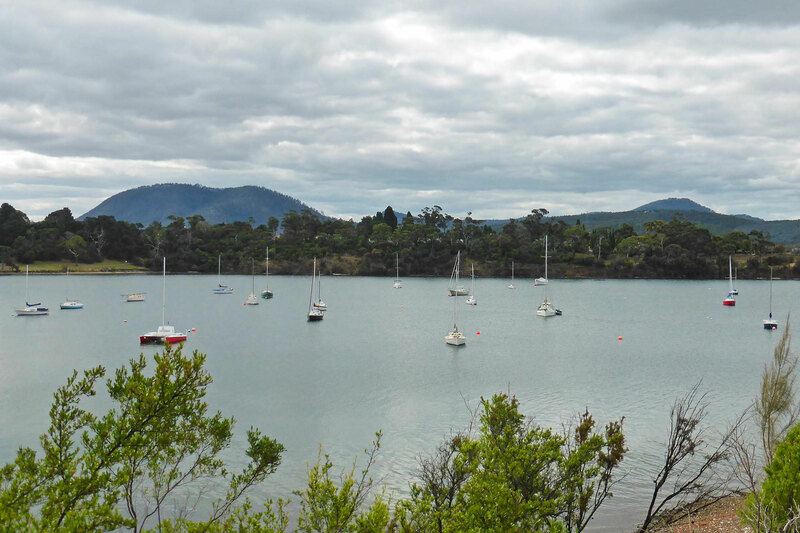 Cornelian Bay itself is also one of those harbours, although it’s not especially well protected, with a long reach from the south-east, and it’s quite shallow and shelving, so it only has a few boats moored in it. 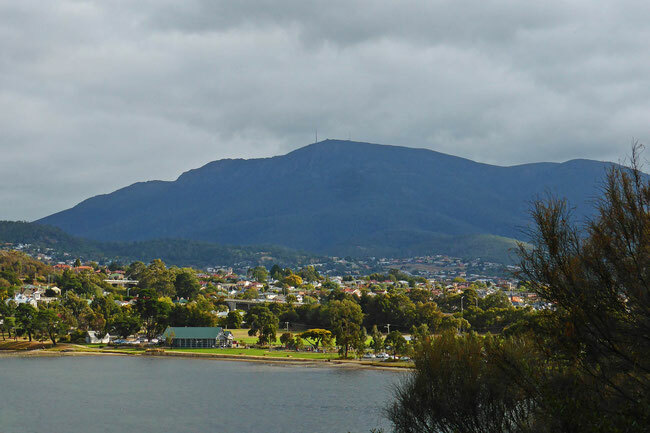 As always, when you’re anywhere around Hobart, the magnificent Kunanyi (also known as Mount Wellington) is in the background. 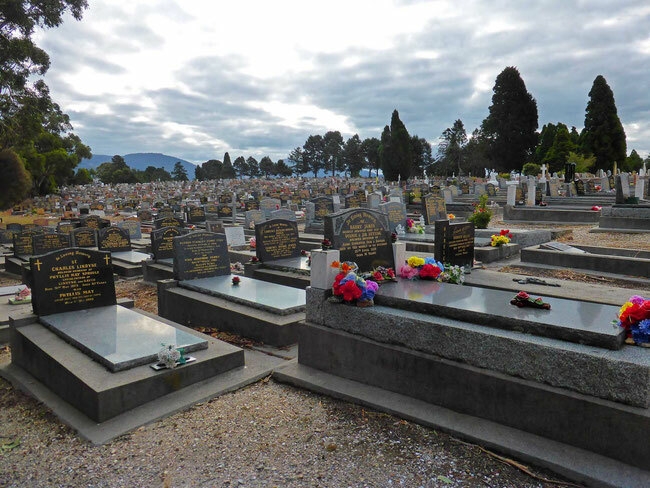 At the very end of this walk, on the headland that defines Cornelian Bay and overlooking the Derwent River, there is a huge cemetery. The dead always get such great views! 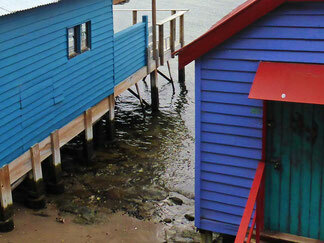 But what really makes this walk worth mentioning is the collection of cute boat sheds at the end of Cornelian Bay. Your first sight of the boat sheds is their roofs below you as you walk along the track to Cornelian Bay. 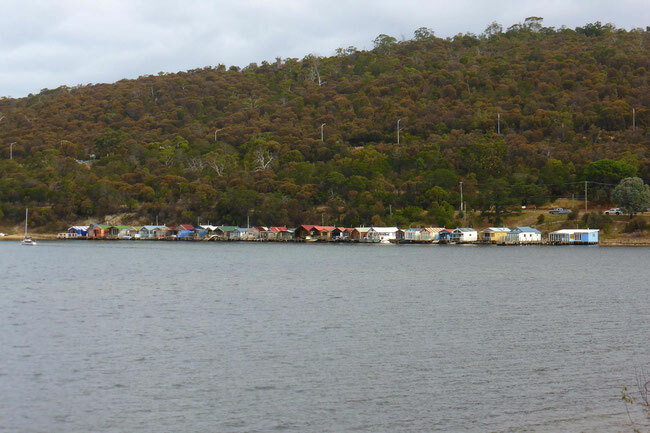 But you get your first real look at them from the sandy beach at Cornelian Bay, looking back across the boat moorings. 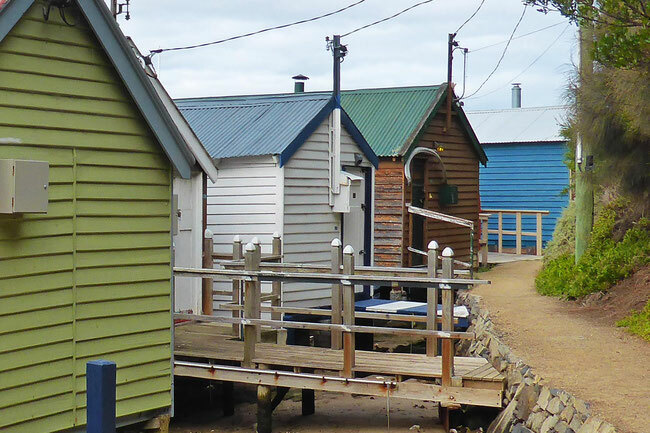 The boat sheds are on a separate track from the main walking track. We took this track on the way back from the bay to check them out. 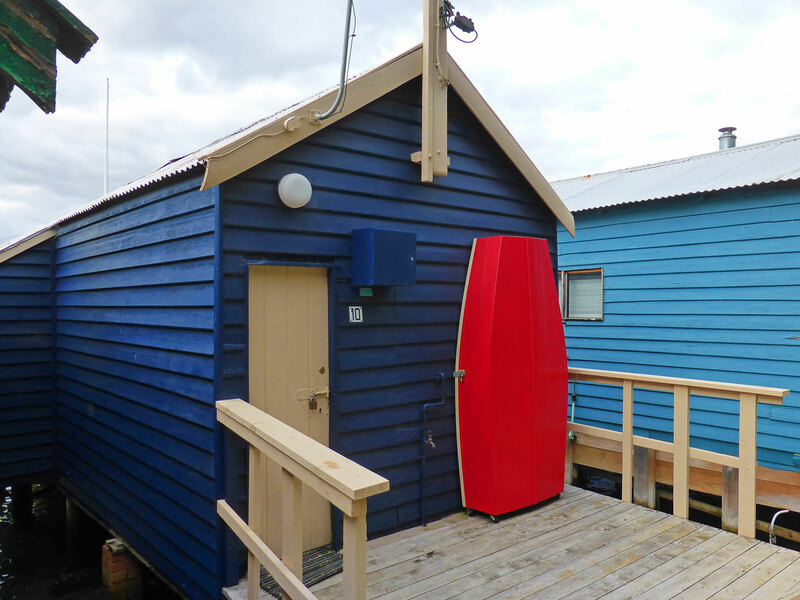 They’re mostly painted up in bright and interesting colour schemes (though, not as cleverly coloured as some of the Victorian beach boxes, which I suspect commonly have professionally-designed colour schemes), and many have additional decorations such as awnings, portholes, roof finials, planters and marine flotsam. The brown one at the back of this picture has what I think is a large whale bone over the door. These boat sheds are far more elaborate than the beach boxes that I saw on the Mornington Peninsula in Victoria: they’re much bigger, many of the have decks out over the water, some with davits for lifting a dingy out of the river, and many even have jetties. They’re connected to electricity and water supplies, and most of them have chimney on their roofs for a wood-burning heater. 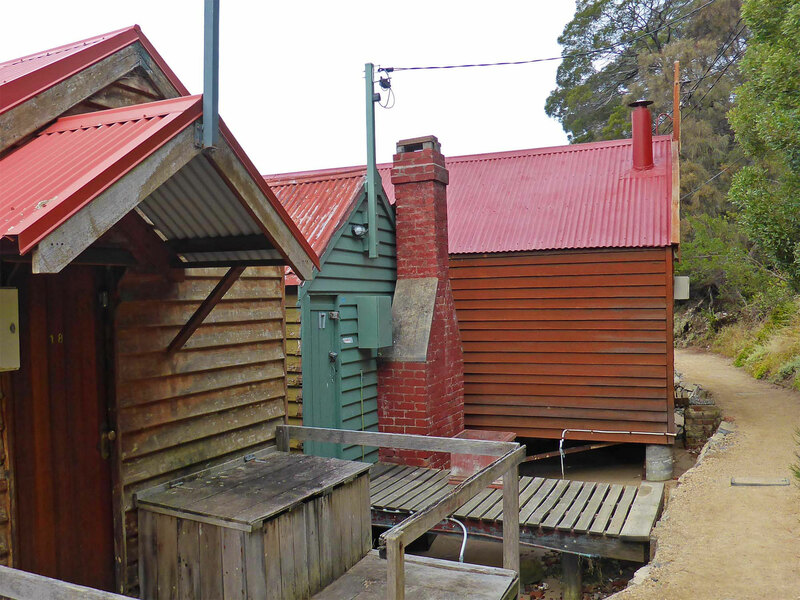 One of them even has a brick fireplace! Aren’t they all just so cute? 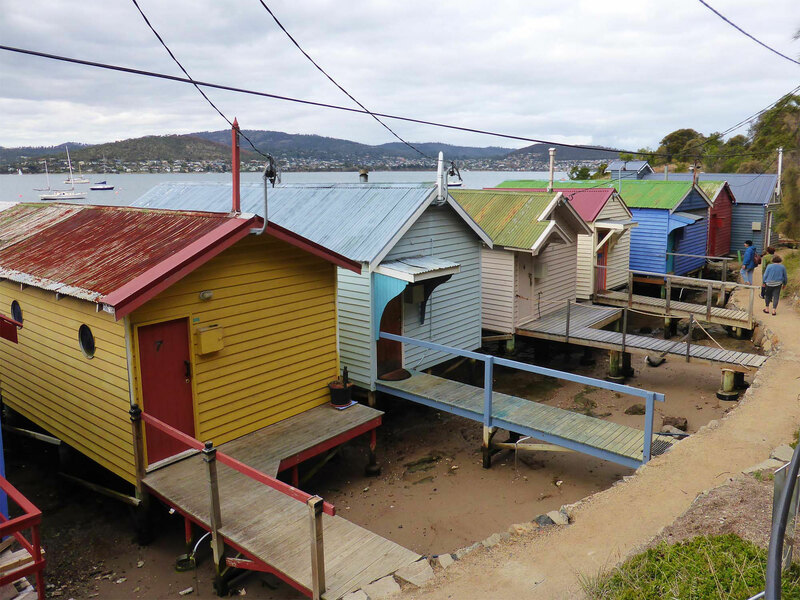 You can find out more about the walk to Cornelian Bay here on the Greater Hobart Trails website.